The Gasteig cultural center, home to the Munich Philharmonic Orchestra and the Bavarian Radio Symphony Orchestra, recently upgraded its aging mixing console to a complete mixing solution by HARMAN Professional Solutions, including a Studer Vista X mixing console, Studer I/O systems, Lexicon Processors and AMX control systems. The Gasteig hosts more than 2,500 productions each year, and in order to meet such a demanding production schedule, the facility needed a cutting-edge mixing solution that would streamline workflows and enable guest audio engineers to achieve great sounding mixes with ease. The new HARMAN mixing solution offers excellent speed, flexibility and ease of use, and enables Gasteig to deliver excellent sound quality for a wide range of concerts and productions. 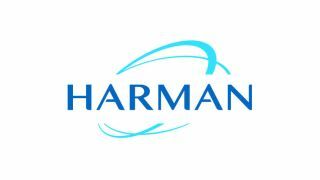 The complete HARMAN mixing solution at the Gasteig was provided by Audio Pro, HARMAN’s official distributor in Germany. In addition to the Vista X console, the system includes 2 Studer Infinity Core 800 processing engines for redundancy, a Studer D21m remote stagebox with 48 microphone preamps and a Studer D23M I/O system with AES/EBU, Dante, MADI and more. The Vista X is also compatible with the Gasteig’s old Studer D19 digital preamp system with 48 microphone I/O. 2 Lexicon PCM 96 Surround processors are interfaced with the Vista X via the D23M system to provide the studio with a wide range of high quality surround effects. Parameters are controlled directly from the Vista X via the Vistonics user interface using HiQNet IP protocol, and settings can be recalled instantly using the console’s snapshot feature. Finally, an AMX control system with Modero Touch Panels enable Gasteig engineers to simplify day-to-day operations in the studio, seamlessly control lighting and power and quickly switch between different DAWs. With such a busy schedule, it was important for Brümmer to select an audio console that guest engineers could operate with as little as ten minutes of preparation before each show. Three of Europe’s leading console manufacturers brought in a console for a one-week trial period, which allowed Brümmer to determine which console would enable him to mix the fastest. For more than 20 years, the Gasteig has recorded each and every performance by the Munich Philharmonic Orchestra. The recordings are stored in an archive for posterity or released commercially to the public. They also record performances by famous jazz orchestras, big bands, chamber music and more. For orchestral recordings, they typically record with 96 kHz, 24-bit sound quality using approximately 30 microphones. Orchestral performances are currently mixed in 5.1 surround sound, but Brümmer has been experimenting with creating mixes 9.1, which convey three-dimensional height, depth and width.